﻿ Hastelloy C276 Spiral Wound Gasket, Alloy 276 Metal Gasket Exporter. ASTM B619 Octagonal Gasket Manufacturer, Hastelloy C276 O Ring Gasket Exporter, Hastelloy 276 Grooved Gaskets Supplier In Worldwide. We, at Amco Metals, focus on delivering sustainable customer engagements. We are ISO 9001:2015 certified as we duly focus on the quality and reliability of our products. We make sure our products offer the most value for money and serve their purpose well. We guide our customers through the vast array of resources and help them find the best fits. 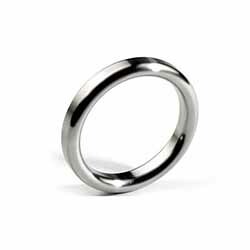 We are a manufacturer, trader, stockist, supplier and exporter of Hastelloy C276 Gaskets that bottle up oxidising media, are resistant to a range of corrosives and acids and have a good creep resistance and can be age hardened. Our Hastelloy C276 Insulation Gaskets Kits service the piping systems in oil, gas, refinery, water and chemical industry since these industries are exposed to cathodic corrosion, which these gaskets keep at bay. 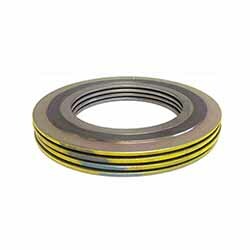 We supply Hastelloy C276 Spiral Wound Gaskets and Octogonol Gaskets to the bleaching and pulp plants. We keep a tab on the market demands to provide highly efficient products that are economical. We have delivered outstanding products to the industry for 25 years. 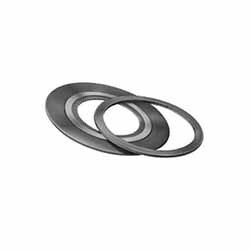 Alloy 276 Ring Gaskets Manufacturer, Hastelloy C276 Spiral Wound Gasket Exporter, Hastelloy C276 RX Gaskets Supplier In India. Philippines, Vietnam, Mexico, Qatar, Hungary, Greece, Romania, South Africa, Thailand, Italy, United Kingdom, Spain, Bolivia, Jordan, Nigeria, Austria, Azerbaijan, Argentina, Czech Republic, Puerto Rico, Poland, Trinidad & Tobago,Tunisia, Serbia, Belarus, Germany, Tibet, Bahrain, Iran, Canada, Netherlands, Kuwait, Ukraine, Mexico, Iraq, Oman, Morocco, Bhutan, Peru, Chile, Sri Lanka, Sweden, Pakistan, India, France, Switzerland, Estonia, Macau, Norway, Bangladesh, Portugal, South Korea, Croatia, Russia, Saudi Arabia, Namibia, Turkey, Colombia, Chile, Nepal, Ireland, Libya, Afghanistan, Gabon, China, Kenya, Ecuador, Yemen, Lithuania, Venezuela, Australia, Slovakia, Japan, Taiwan, Costa Rica, Egypt, Hong Kong, Lebanon, Algeria, Singapore, Denmark, Israel, Zimbabwe, Poland, Iran, Indonesia, Bulgaria, Nigeria, Malaysia, Gambia, Brazil, United States, United Arab Emirates, Kazakhstan, Belgium, Angola, Finland, Mongolia, New Zealand, Ghana. Istanbul, Brisbane, Kolkata, Sydney, Aberdeen, Kanpur, Hanoi, Faridabad, Hyderabad, Karachi, Busan, Colombo, Visakhapatnam, Muscat, Bangkok, Bhopal, Coimbatore, Ludhiana, Ahvaz, Thiruvananthapuram, Jeddah, New York, Howrah, Bogota, Cairo, Riyadh, Rio de Janeiro, Rajkot, Jaipur, Vung Tau, Kuala Lumpur, Granada, Haryana, Caracas, Montreal, Hong Kong, Manama, Nagpur, Kuwait City, Milan, Bengaluru, Surat, London, Melbourne, Moscow, Dallas, Noida, Calgary, Al Khobar, Gimhae-si, Edmonton, Dammam, Vadodara, Al Jubail, Singapore, Indore, Navi Mumbai, Chiyoda, Ho Chi Minh City, Abu Dhabi, Mexico City, Sharjah, Houston, Chandigarh, Ranchi, Secunderabad, Lahore, Baroda, Lagos, Santiago, Ahmedabad, Port-of-Spain, Perth, Seoul, Atyrau, La Victoria, Ernakulam, Pune, Thane, Jakarta, New Delhi, Nashik, Tehran, Petaling Jaya, Courbevoie, Chennai, Los Angeles, Dubai, Geoje-si, Ulsan, Jamshedpur, Pimpri-Chinchwad, Madrid, Doha, Algiers, Toronto, Mumbai, Ankara, Gurgaon.